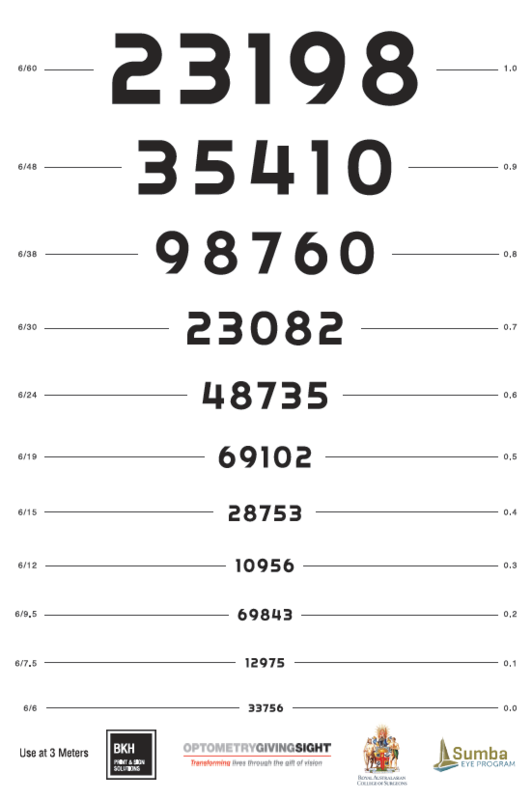 Brad Heuvel from printing company “BKH Print and Sign Solutions” has been very generous in his time and expertise to help develop this new Numeral Letter Chart that really helps speed up screenings. Most of the Sumba population knows numerals and are numerate–but the majority are illiterate. Brad has recently donated 80 charts to the Sumba Eye Program. These charts will be placed permanently in remote medical/malaria clinics, as well as being transported from remote village to village.